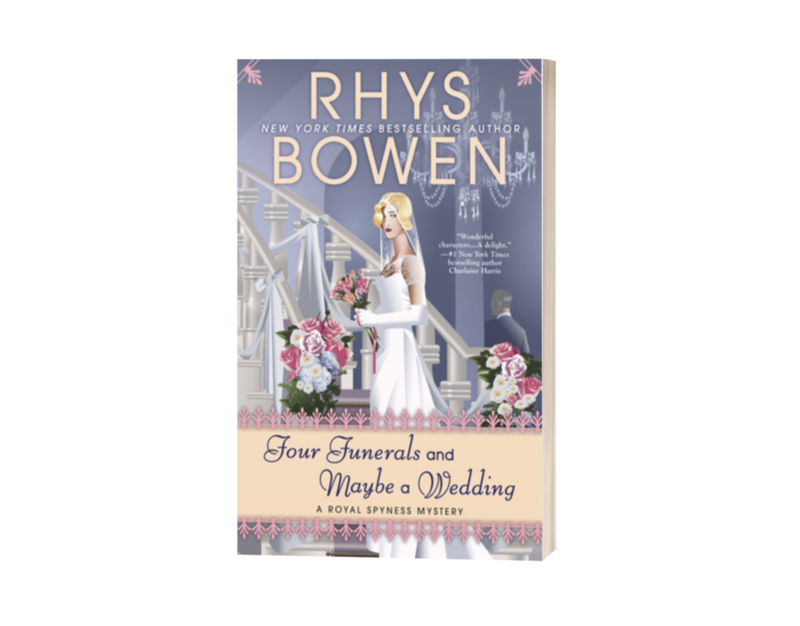 Georgie Rannoch is back in the twelfth installment of the Her Royal Spyness Mystery series – FOUR FUNERALS AND MAYBE A WEDDING by Rhys Bowen. The novel is due out on August 7th 2018 by Berkley. Georgie and her fiancé Darcy O’Mara are hard at work planning their wedding and working out the arrangements for their married life together. When Georgie and Darcy are offered the country estate of her mother’s former husband, they accept the invitation. Unfortunately, upon arrival at Sir Hubert Anstruther’s estate, Georgie begins to suspect that there is something amiss in her new home. The butler is horribly rude, the rest of the staff can barely handle their jobs, and there is a crazy old woman living in one wing of the mansion. Georgie is doing her best to deal with these difficulties when she discovers a dead body and realizes that nothing is as it should be in her new home. I am a big fan of the Her Royal Spyness Mystery series, and I am thrilled that Georgie and Darcy are finally getting married. FOUR FUNERALS AND MAYBE A WEDDING is another great installment in the Georgie saga, though I felt that the mystery aspect was a bit lacking. Georgie’s main focus is on planning her wedding and getting her new home in order. Yes, it is clear from the second she arrives at her new home that there is something definitely wrong. Plus her life is threatened on a couple different occasions. But, up until the end when Georgie discovers what is going on right under her nose, the unruly servants seems like nothing more than unruly servants. Yes, there are strange things happening around Georgie, but none of the events or situations really grabbed my attention. I did thoroughly enjoy the book out of my love of Georgie, but I just didn’t enjoy this novel as much as I have other ones in the series.